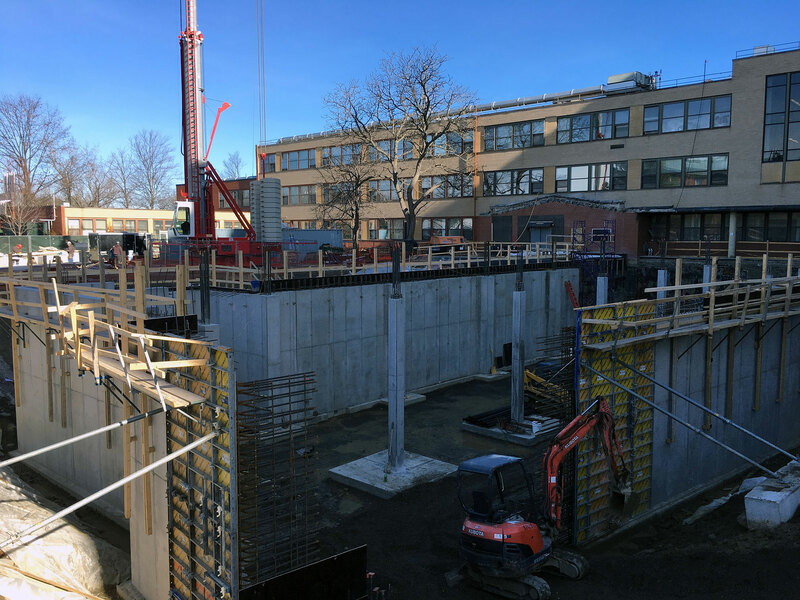 This project required an application of the CCW 861 Miradri waterproofing system to be applied during the winter. Cold weather applications always present an unknown set of challenges and this job had a few of them. Aside from the challenges the 861 membrane was installed with the low voc 702 LV primer. The CCW 702 LV is one of the best primers in the industry because of it’s ability to remain tacky in temps lower than 25 degree F. while maintaining that low odor component. 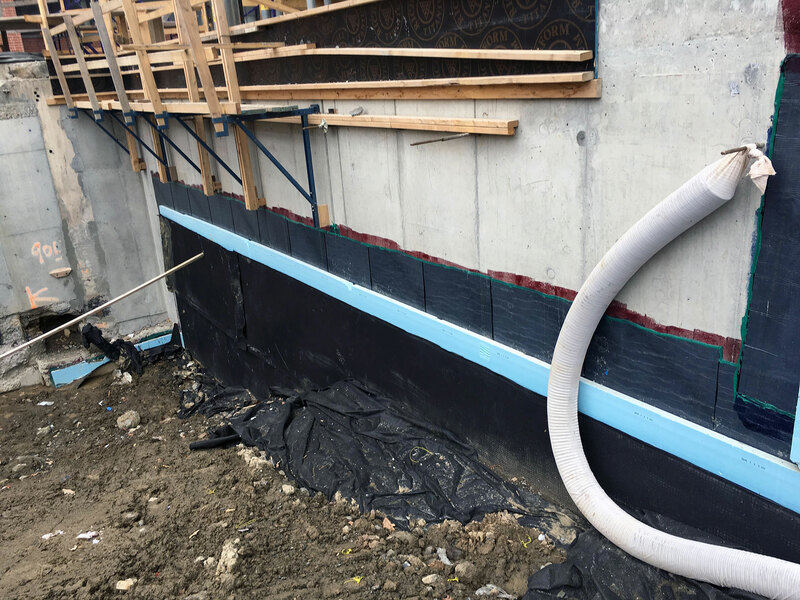 Mother Nature did not bring the snow this year that it has in the past and thankfully, the waterproofing was installed successfully and covered up with the Miradrain 6200 Drainage Composite.